It’s always fun seeing what is announced during E3: I can’t wait for some of these games to come out! I’ve haven’t had a proper I’m-so-addicted-to-this-game-I-don’t-want-to-do-anything-else stint for ages, but these trailers make me want to put a weekend aside for purely gaming. I’ve chosen the trailers that I’m looking forward to the most here. What’s your favourite? I’m still playing Assassin’s Creed Black Flag, and it’s miles better than AC3. This next one is set in Paris and looks great… when was the Eiffel tower built? I’m still hoping they’ll do a London based one (my guess is a Victorian based one eventually). I finally got around to playing Uncharted 1 and 2, but I still haven’t even started Uncharted 3 yet. Even though this is just a teaser, it really makes me want to go back to the series. I enjoyed the previous reboot Tomb Raider. It wasn’t a perfect Tomb Raider (not enough smart puzzles I found), but it’s interesting to see what they do next. So awesome. The Master Chief collection will be on an all-in-one disc for Xbox One and contains the full campaigns and multiplayer for Halo: Combat Evolved, Halo 2, Halo 3, and Halo 4. I’ve only ever played Halo: Combat Evolved, and have been waiting for a remastered version of Halo 2 ever since. Finally! This looks awesome! I can’t wait to see how they end this all. I still haven’t finished the inbetweeny not-that-original Batman: Origins, but hey, you get to be Batman again and who doesn’t like that? The last few days have been blissfully relaxing: I’m currently on holiday in Croatia and most of my time has been spent on sitting next to the pool to swim, sunbathe and read. I wish I had a proper geeky swimsuit though! For ages I’ve been eyeing Black Milk’s geeky swimsuit designs, but nothing really popped out as a must-have to me. They’ve had some cool Lord of The Rings and Star Wars designs in the past, but I’m not a massive enough fan of either of those to spend $100 on a swimsuit. 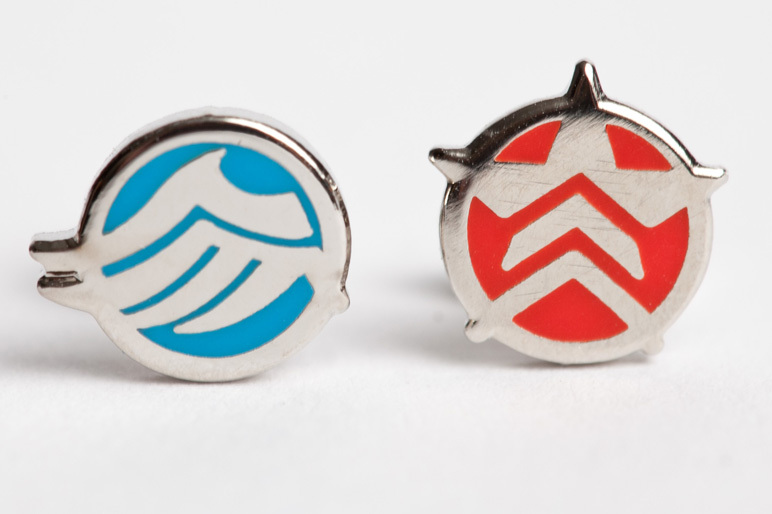 They’ve now just launched a Mass Effect line… and I really want their N7 swimsuit! The above two designs also come as leggings and dresses, and there are also three other Mass Effect (comic) designs. I wish they had added some of the other artwork; I would have loved to have seen a swimsuit with Garrus or the Normandy on it! If you’ve read some of my posts the past few weeks, you’ll know I’ve been hoping to get my hands on the new Tomb Raider game. Well, now thanks to Ladbrokes I got the chance to play the game. Besides that as part of their promotion of their own Tomb Raider Slot Game they’ve given me a copy to giveaway to one of my lovely readers! You’ll also get an extra entry if you mention the giveaway on Twitter with the hashtag #missgeeky, and another extra entry if you like this post on Facebook. The competition is only open to residents in the UK. The winner will be drawn randomly and I will contact them on Tuesday April 3rd. So what did I think of the game? 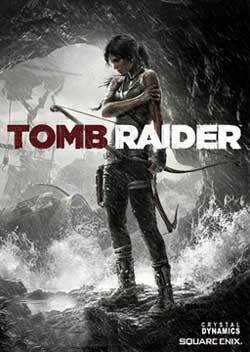 Short version: fun yet brutal game that somehow doesn’t feel like “my” Tomb Raider. I used to be a huge Tomb Raider fan. It had a strong kickass female protagonist, featured lots of spooky ancient places and the main gameplay was focused on solving puzzles. I wasn’t very good at it, but it was fun and the part of me that loved ancient history enjoyed seeing the myths and tombs come to life. I could walk around the ruins of an ancient Indian temple or explore the catacombs of a Egyptian temple and it filled me with awe and wonder. I loved how you could pull a random lever, hear a click and not know what the effect was, leaving you wandering around trying to find what had changed. I loved how you had to battle dinosaurs, mutants, gods, and other weird things that inhabited those ancient tombs. Jump forward 16 years (!!! wow, now I feel old) and we get the rebooted version featuring a younger more innocent Lara Croft. This new story is all about putting this unexperienced Lara into a deadly dangerous environment and seeing her “grow” into the Lara Croft we know. She’s thrown into this terrible situation and does everything she can to make sure she and her friends survive. As I expected there’s a lot about this game that feels like Uncharted: ancient ruins, phases of corridors of enemies just shooting at you and the standard jumping and climbing traversals. Once you unlock your special rope arrow ability (also: who the hell went through all the effort of tying ropes around all those bits of trees, doors and pillars?? Someone on that island must have been bored) the game traversal gets a bit more interesting and the use of fire provides some fun puzzle solving. The problem I had with those “puzzles” though is that they never felt too complex; every single time it was pretty straightforward on how to solve it, I never had the feeling the game was challenging me. I can understand that the main storyline should remain easy and solvable for all, but why couldn’t some of the optional tombs be a bit more trickier? Why couldn’t they bring back the levers, hiding some of the challenges behind secret doors? Next to that I was missing that awe and wonder I had with the older games. The graphics are way better now, so I was expecting to be blown away by awesome and awe-inspiring ancient ruins. Instead the creators went down the shock and horror route. The game is full of impaled corpses, bloody altars, chunks of unidentifiable slabs of meat hanging off hooks, and piles of skulls and bones. The environment feels bland and brutal, and I felt uneasy the entire time playing. 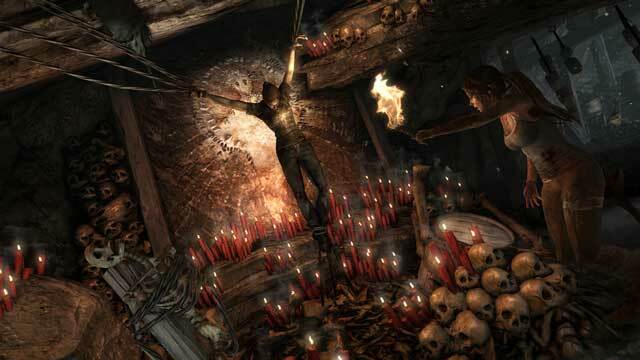 What it comes down to is that to me the game didn’t feel like the Tomb Raider I grew up with and loved. I wanted a game that makes me feel like I’m a kickass archaeologist, solving tricky puzzles, exploring gorgeous abandoned tombs and discovering awesome artefacts. 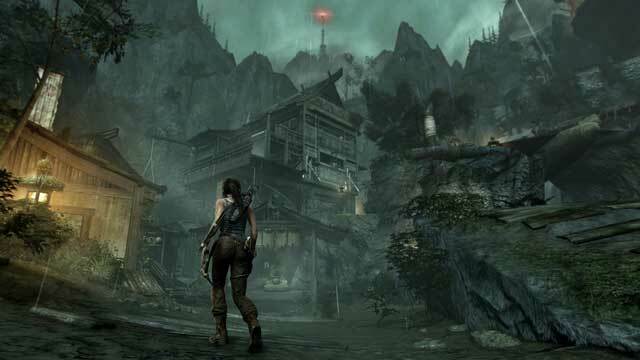 Instead this Tomb Raider is all about surviving: surviving the harsh environment, surviving the brutal island inhabitants, surviving everything that is thrown at you. I get that that’s what they were going for, I just wish that besides all that surviving Lara had also learnt a sense of wonder and excitement for discovery. By the end of the game, I don’t think Lara has turned into the Lara Croft of the previous games; instead they’ve rewritten her history so much, that she’s turned into this other unrecognizable Lara with a different personality and motivation, a Lara that I’m not sure I want to see more of. As much as I enjoyed playing the game, I miss “my” Lara and I miss the Tomb Raider of old.